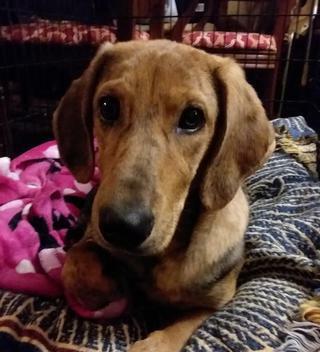 Sadie is hound mix around 38 pounds and 5 months of age. She came in very underweight. She has gained 12 pounds in two weeks. She'll be medium to large full grown. Good with other dogs and working on house and crate training.